Let’s review some of the more pertinent questions can also be beneficial to keeping CPR/AED certification fresh. 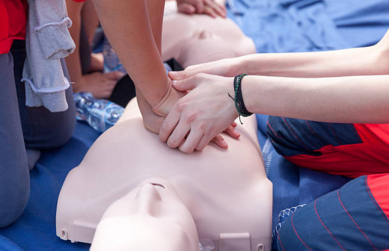 What Steps Should You Follow While Giving the CPR? Finding someone unresponsive requires fast thinking and quick action until help arrives. After calling for help, open the airways, ensure the victim is laying straight on a flat, firm surface and is still not responsive or breathing. Then, make a complete seal over the victim’s mouth with yours while administering CPR, and blow into the person’s mouth for about 1 second ensuring their chest rises and falls with each breath. 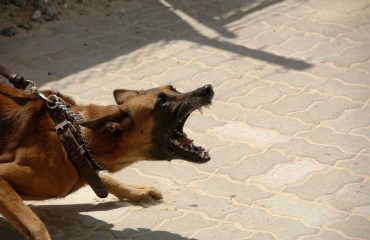 Take a breath, make a seal, and apply a second rescue breath to the victim. If you do not see the chest rise, begin chest compressions and check airways for any blockage. Clear any blockage, if something is in the way. What does CAB stand for in relation to CPR? CAB stands for Chest compressions, Airway Open, Breathing for Patient. Chest compressions were reprioritized to take priority in 2010. When providing rescue breaths, in the event you notice that the victim’s chest is failing to rise and fall, what should next steps be? 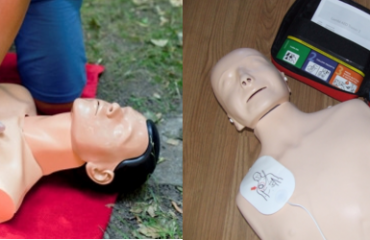 If you do not notice a responsive chest, immediately deliver 100 chest compressions, tilt the head of the victim back slightly and attempt the rescue breathing again. You discover an unresponsive victim on the floor of a workplace bathroom. What should your first response be? The correct answer to this is calling for help. Be sure to review your workplace’s policies and safety responses for such emergencies- calling an ambulance, providing clear address and details, and informing building security/management to expect the ambulance should be your first actions. Until help arrives, continue giving sets of 30 chest compressions and 2 rescue breaths. The American Red Cross keeps a number of training and participant items available online for review and downloads here. There are also a number of apps available to test your skills, and keep CPR certification learning fresh and close at hand.